If you’ve spent any time with me outside of a wedding, you pretty much know I’m a big political dork/junkie. I’ve followed politics since I was in middle school, earning my reign as Student Council President of the Upper Moreland Middle School in 1992-1993, where we earned the National Blue Ribbon award from the Department of Education. Once I shook President Bill Clinton and Vice President Al Gore’s hands at the White House, I was hooked. 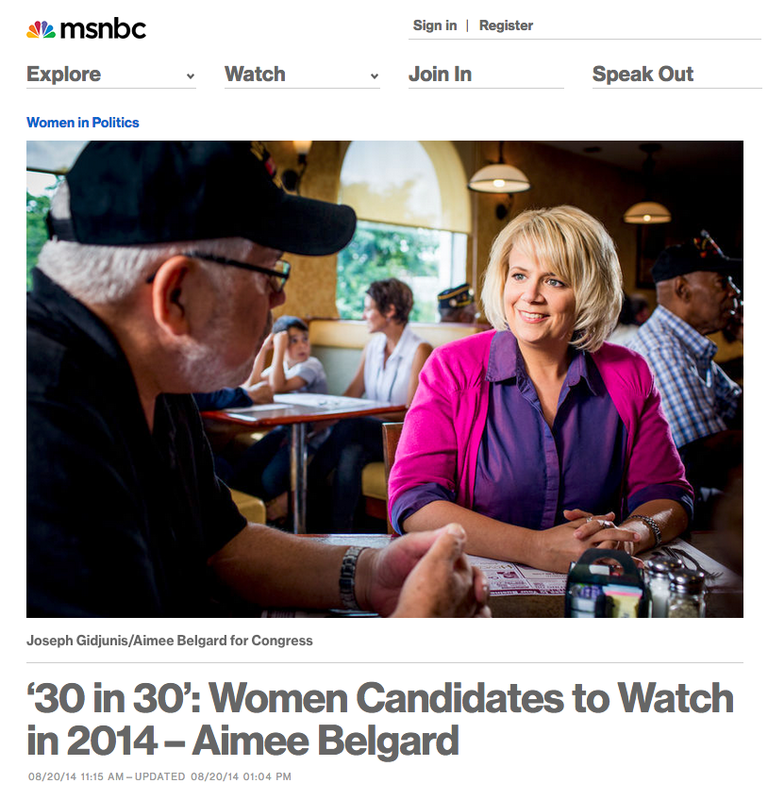 Last week, we were able to showcase some of our work after the photo went public thanks to a terrific profile on MSNBC featured NJ-3 Democratic Nominee Aimee Belgard in a piece titled, ‘30 in 30’ Women Candidates to Watch for 2014. The photo featured Belgard talking with local veterans at the Golden Dawn Diner in Edgewater Park. It was another great moment to add to the JPG Photography political portfolio. What I particularly love about it how it is a photojournalistic moment — uninterrupted, and not-manipulative — just Aimee being Aimee. Belgard is one of the most genuine people and strong Democratic candidates I’ve come across in awhile, and I believe the Garden State would benefit from her leadership in Washington. The article focuses on the strength of female candidates, and we are proud to have been able to witness Belgard’s authenticity first hand. We cannot show the rest of the photos from our time with Aimee just yet, but stay tuned as we cheer on Aimee and other Democrats we’ve documented in the 2014 mid-terms and governor’s races.